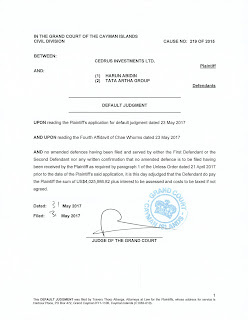 JAKARTA – Mr Harun Abidin, a troubled businessman from Medan, together with his company (TaTa Artha Group) have been declared in default of their legal obligations to Cedrus Investments Ltd. by the Grand Court of Cayman Islands on 31 May 2017. The problem between Harun Abidin and Cedrus Investments Ltd. began when Harun Abidin breached his obligations to repay his debt owed to Cedrus Investments Ltd., a company incorporated in Cayman Islands. By mid-2015 when Harun Abidin began to miss scheduled payments to Cedrus Investments Ltd. In a demonstration of good-faith, Cedrus Investments granted multiple extensions in consideration of Abidin’s situation by extending the due date of the requisite payments. 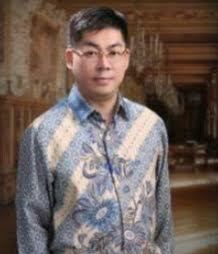 But good-faith from Cedrus Investments Ltd. was not reciprocated by Harun Abidin and instead he filed false and misleading reports against Cedrus Investments Ltd. to the Bareskrim in Indonesia including the local Indonesian media. After that troubled Abidin continued his misrepresentation and deceit of the system through various unethical actions in order to avoid the legitimate obligation to repay his debts, said Mr. Wirawan Adnan from Sholeh Adnan & Associates, lawyer for Cedrus investments in Jakarta. 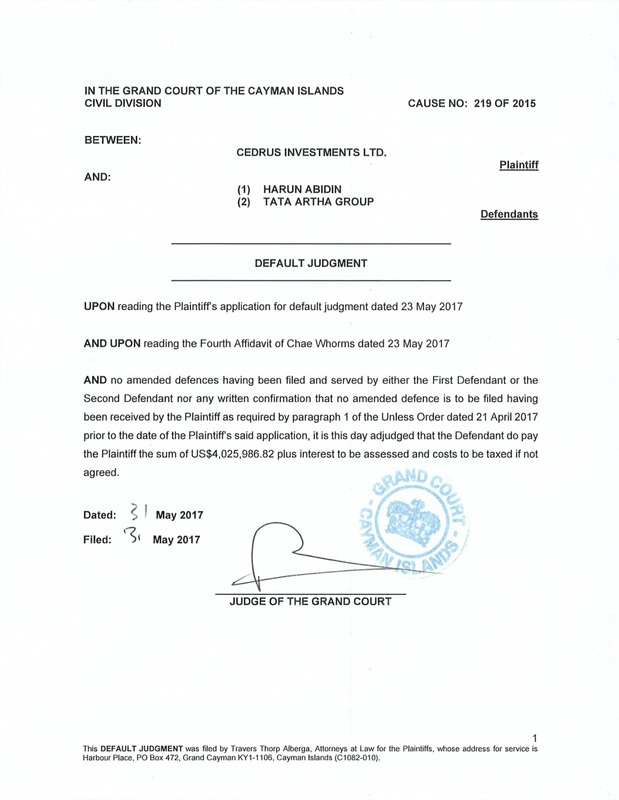 On 31 May 2017, the Grand Court of Cayman Islands brought justice to Cedrus Investments Ltd. Harun Abidin was found in breach of his obligations by the court and the court orders Harun Abidin to repay Cedrus in excess of USD 4 million ($4,000,000 dollars) plus interest to be assessed and costs.